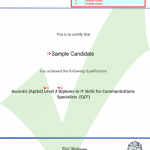 As of 1st November 2015 all Ascentis (AptEd) qualifications are certificated by Ascentis. 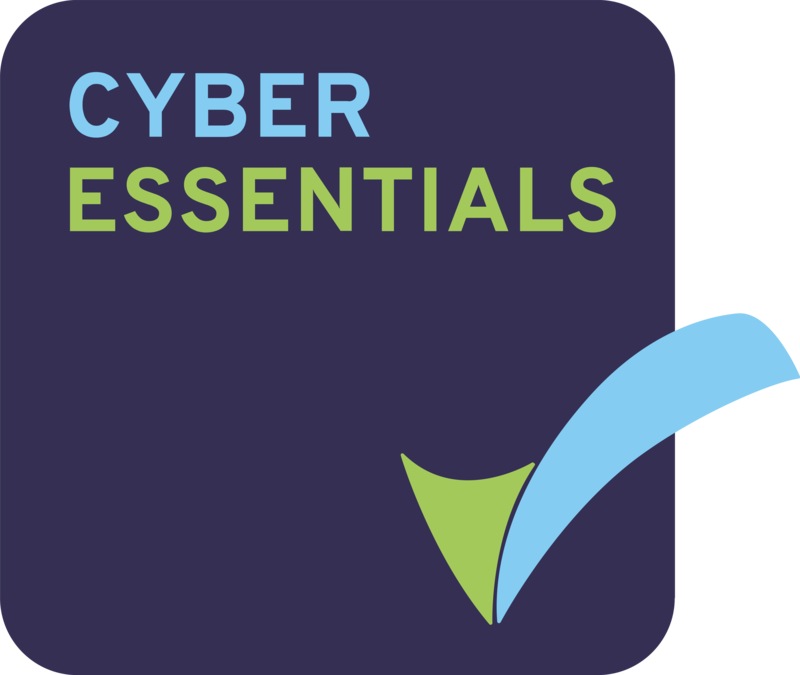 We have worked closely with Ascentis to produce this comprehensive guidance and have received their approval that the examples shown are either acceptable or unacceptable evidence of learner achievement. 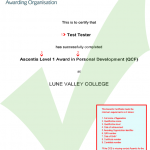 NB: If you have an example of learner achievement evidence from Ascentis, that is not currently included within this guidance, but you believe that it would be acceptable, then please send us a copy for our review and consideration. If the decision is that it should be acceptable then it will be added to our library of acceptable evidence. Equally, if it is deemed to be unacceptable we will include it in the library of unacceptable evidence examples.